Greek Cafés and Milk Bars of Australia is a beautifully designed book presenting Australia’s Greek cafés and milk bars as a global phenomenon in the modern era. Greek-run cafés and milk bars populated Australian country towns and cities, merging local fare with new American food-catering ideas. 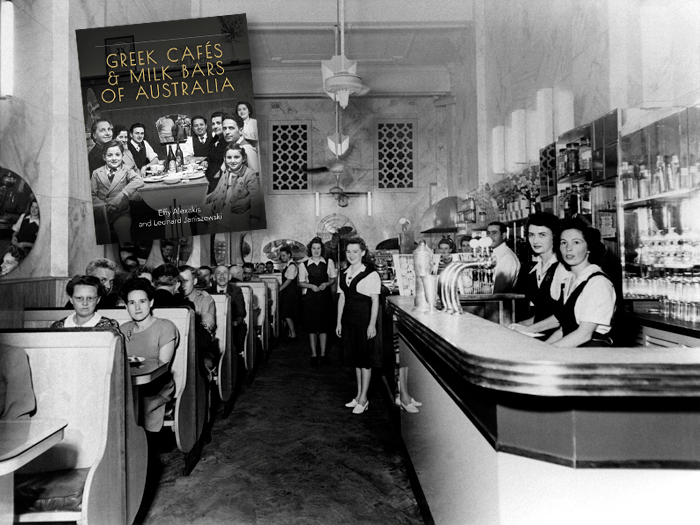 Prior to the explosion of American fast-food franchises, Greek cafés contributed to a major change in Australian eating habits. While a traditional mixed grill remained a favourite, Greek cafés were known for their introduction of American sodas, ice-cream sundaes, milkshakes, hamburgers, milk chocolate and hard sugar candies, into communities right across Australia. As the good old days faded away, Effy Alexakis and Leonard Janiszewski took their tape recorder, camera and pen into this vanishing world. They captured the faces and stories, the style and the ethos that gave our popular culture one of its most memorable expressions. Historian Leonard Janiszewski and documentary photographer Effy Alexakis have been researching the historical and contemporary Greek-Australian presence, both within Australia and overseas, since 1982. Their ongoing project, In Their Own Image: Greek-Australians, is recognised as one of the largest collections of Greek-Australian material in the country. Janiszewski and Alexakis have received numerous grants. 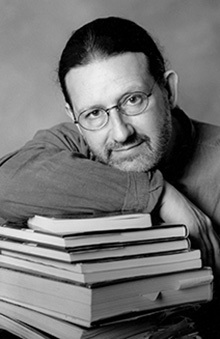 In 2001 Janiszewski was awarded the NSW History Fellowship to research the Greek café. Janiszewski’s presentation arises from that research, which is ongoing. Both Janiszewski and Alexakis have served on history and/or arts advisory boards. Remember the Niagara, the Parthenon, the Astoria and the Paragon? In each suburb and every country town, was the Greek café or milk bar — open all hours, 7 days a week. They gave us more than milkshakes, lollies, ice cream and home style meals. With Modernist designs, American gadgetry and coloured lights, Greek-run cafés and milk bars brought atmosphere, a touch of glamour, at times a hint of Hollywood — a little break from the mundane reality of local life. Effy Alexakis and Leonard Janiszewski have spent 30 years researching and photographing Greek cafes and milk bars. They have captured the faces and stories, the style and the ethos of the milk bars that were the social hub of towns all over the country. Join Leonard Janiszewski for a fascinating and nostalgic exploration of the Greek milk bar phenomenon, covering 30 years of research and illustrated with the beautiful photography of Effy Alexakis that vividly brings to life the golden age of these catering icons.